Case Results. Contact a Chicago criminal defense lawyer at Okabe & Haushalter firm if you have been arrested or are facing criminal charges. 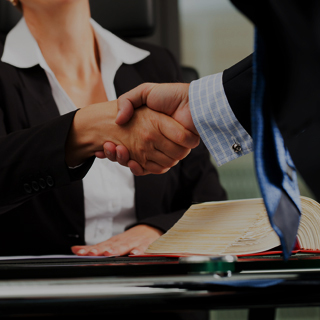 The criminal defense firm of Okabe & Haushalter strives for nothing but the best service and results. Our aggressive legal team is constantly working on cases in order to effectively defend clients from facing convictions of all kinds. 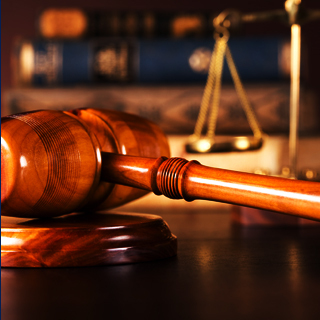 We represent individuals charged with misdemeanors and felonies ranging from DUI to murder. 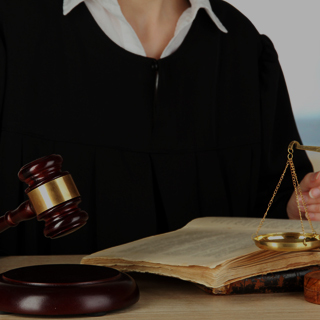 Our attorneys are also skilled in helping clients seek expungement of past charges, or to have a conviction sealed. View our list of case results below to learn exactly what we have achieved for clients in the past. This gives you some insight into what we are capable of achieving for you. After you’ve browsed through our success stories, feel free to complete our online evaluation form or call our offices to contact us by telephone. 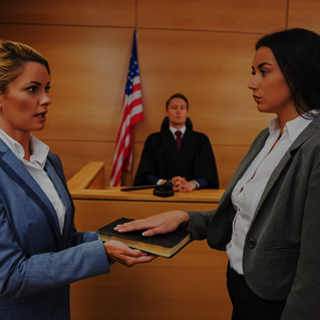 A Chicago criminal defense lawyer from our team will fight aggressively in your defense to obtain the results you need after you’ve been charged with a crime. Mr. Kutnick obtained a verdict of not guilty on a charge of Aggravated Assault of a Police Officer. Client was shot in the back and paralyzed by the police. He is currently a pursuing a Federal civil rights suit against the police officer and the Chicago Police Department. November 2012 – Lake County, Illinois – Traffic Division courthouse – Charge: DUI – Village of Grayslake v. M.D. Defendant charged with DUI after being stopped by officers at 1:53 a.m. after blowing through a red light and making an illegal U-Turn. The Defendant refused a breathalyzer test after his arrest for DUI.We took this case to a bench trial, and cross-examined the arresting officer’s administration of the Standardized Field sobriety tests. Our cross-examination of the Officer (particularly with respect to the Horizontal Gaze Nystagmus test) and closing arguments showed that the Village’s burden of proof had not been met. This resulted in a Finding of NOT GUILTY on the DUI. The client received Court Supervision of the red light violation and was only ordered to attend a traffic safety course. October 2012 – Fourth Municipal District Courthouse (Cook County) – Charge: DUI – People v. L.B. Defendant, who was on Court Supervision in DuPage County, was arrested for DUI in Westchester. The prosecutors in DuPage county quickly filed a petition to revoke the Court Supervision. Our attorneys appeared for the client in DuPage and convinced the Court to continue the matter and withhold judgment until after a trial date could be heard on the Westchester DUI. We set the case for trial and the Fourth District Court in Maywood granted our Motion For a Directed Finding. Defendant was then found NOT GUILTY of the DUI and the other traffic tickets as well. Upon return to DuPage County, the Court learned that our client was found NOT GUILTY on the charge that caused the violation of his sentence. The Court in DuPage kept our client’s original sentence intact and prevented a misdemeanor conviction! Mr. Kutnick obtained a verdict of not guilty on a charge of Delivery of 4 ½ ounces of cocaine to an undercover agent. Kutnick successfully convinced the jury that the undercover police officer had mistaken Defendant for another person selling drugs to that officer around the same period of time. April 2012 – Second Municipal District Courthouse (Cook County) – Charge DUI – People v. S.E. Defendant, while traveling on I-94 struck another vehicle and was found by the State Police Troopers on the shoulder of the expressway with the other motorist. Defendant was reported to have an unsteady walk, slurred speech, and an odor of alcohol on her breath, and admitted to driving and causing the accident. The State Trooper had video equipment in her squad that had malfunctioned. Before the case was taken to trial, we went to hearing to remove the suspension of our client’s license, pointing out a timing error on official documents prepared by the Trooper. Capitalizing on this mistake, the summary suspension of the clients driving privileges was rescinded. Before trial, we kept the audio and compromised video portion of the tape from being introduced by the State. Ultimately, we cross-examined the Trooper and achieved success at trial. Our client’s suspension was lifted, her license valid again, and she was found NOT GUILTY on all counts alleged against her. 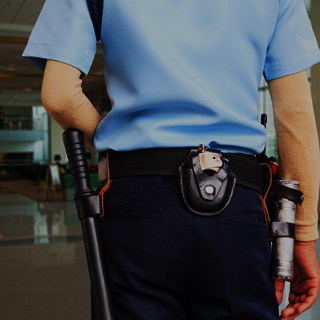 Client was charged with violating the Illinois Eavesdropping Act for recording a police officer engaged in his official duties in public. Mr. Kutnick successfully argued that the Illinois Eavesdropping Act is unconstitutional based on a violation of due process. February 2012 – Lake County Criminal Court – Charge: Felony DUI (4th DUI) – People v. J.C. Defendant, a father of two young children and business-owner, had an unfortunate history that involved three prior DUI convictions, and at least five prior DUI arrests. He was facing a mandatory 3 to 7 year penitentiary sentence. His performance on the field sobriety tests was extremely poor and had little chance of success at trial. After lengthy negotiations with the State, we secured probation for this Defendant so he never spent a single day in the Illinois Department of Corrections. Had he gone to jail, our client would have lost his business and not seen his young children for at least a year. Our client maintained his job, his marriage, and was able to continue earning for his family. Mr. Kutnick pursued two State appeals to the Illinois Supreme Court. In the first appeal, he successfully argued that removing an incarcerated inmate from the county jail for purposes of a police overhear violated the Fourth Amendment. In the second appeal, the Court found that there was no Due Process Right to Counsel in that situation. Mr. Kutnick is currently preparing for trial after remand from the Supreme Court. Mr. Kutnick obtained a finding of not guilty of First Degree Murder. Defendant was found guilty of Second Degree Murder and sentenced to only 7 years. At trial, the State established that the Defendant, inside his own home, had stabbed the victim eleven times in the neck and chest. November 2011 – Second Municipal District Courthouse (Cook County)– Charge: DUI – People v. W.D. Client charged by the Skokie Police Department with DUI. Due to his refusal to submit to breath testing he faced a 12-month license suspension. We filed a challenge to the suspension early, and when the first court date arrived, the Officer was not available. Because of the early filing, the State ran out of time for a continuance and the suspension was removed by Order of Court. We took this case to trial, arguing that Defendant’s obesity was the primary cause of the Defendant’s failure of the administered field sobriety tests. The Judge agreed, and a Finding of NOT GUILTY was entered on the DUI!! Defendant was fined $35.00 + court costs and received Court Supervision on a seat belt violation. November 2011 – Lake County Illinois – Felony Preliminary Hearing Court – Charge: Aggravated Driving on Revoked License – People v. B.C. Client charged with Aggravated Driving on Revoked License. Defendant faced imprisonment and possible loss of custody of his children. After successful negotiations with the prosecutors, and presentation of mitigating information, urged the State to amend the charge to a petty traffic offense of “Failure to carry license on person” and had a $100.00 fine + costs only. Defendant was able to continue with his quest to regain his IL Driver’s License and not be delayed a year from re-application. He kept his job, maintained custody of his children, and today is driving on a valid driving permit. He will soon regain his full privileges back with a newly issued Illinois Driver’s License. October 2011 – Second Municipal District Courthouse (Cook County)– Charge: DUI – People v. M.D. Prominent North Shore businessman charged with DUI for the second time. Facing suspension of privileges and a revocation of his license if convicted, we tested the waters and challenged the impending license suspension at the hearing. We cross-examined the officer and sized up the credibility of the officer should the case proceed to trial. We successfully dismantled the State’s case at this hearing causing the Judge to make a finding that “No Reasonable Grounds” existed for the DUI arrest. Armed with this ruling, we set the case for trial. On the date of trial, the State considered the prior ruling of the Court and agreed to dismiss the DUI. A fine + costs only was negotiated on the accompanying speeding violation and all other charges were DISMISSED! July 2011 – DuPage County Main Criminal Courthouse – Charge: DUI – Village of Glen Ellyn v. C.S. Defendant, a successful businessman, charged with DUI. Our client travelled regularly to Canada for both business and for annual family fishing trips. The U.S. Canadian border patrol agents stiffened regulations (in recent years) for admission from the United States into Canada for those with serious traffic offenses, including summary suspensions related to DUI arrests. With mitigation letters and persuasive negotiations, we fashioned a plea deal that removed the summary suspension entirely and had the DUI reduced to a Class B speeding ticket with Court Supervision and fines only. The client’s suspension was removed entirely, and no trace of DUI remained on his record. Defendant regularly travels to Canada both for business and pleasure and he returned to life as normal without the complications of a criminal record. After a jury trial, Mr. Kutnick obtained a verdict of not guilty on a charge of Attempt First Degree Murder. Defendant was found guilty of Aggravated Battery with a Firearm. The victim was pummeling the Defendant’s friend sitting the front seat of a stationary vehicle where Defendant was a rear seat passenger. Though facing 31 years to life, Defendant was sentenced to only 11 years. May 2010 – 555 W. Harrison (Branch 63 – Cook County Domestic Violence Court) – Charge: Domestic Battery – People v. C.F. Defendant was charged with Domestic Battery and Criminal Damage to Property. Defendant was accused of destroying a cellular phone owned by his girlfriend and pushing her down a stairwell during a domestic dispute. At trial, the alleged victim testified to a story riddled with inconsistency. We capitalized on these testimonial errors, ultimately diffusing the State’s case. The female judge presiding found our client NOT GUILTY on all charges alleged against him. Also, the Order of Protection being sought against him was DENIED leaving our client with a clean criminal record!